Each is explained in detail below. Most personal, hobby and small business websites will work fine on the correct Shared Web Hosting. 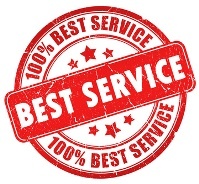 Large Businesses with high viewing traffic will be best on a Virtual Private Servers VPS or Dedicated Servers. Virtual and Dedicated Servers require some in house (this means you) web hosting technical knowledge in most situations. My general recommendation is never use free web hosting if you plan on using your website for business or serious personal use. that has a telephone number and email and online trouble ticket support system to answer the many questions you will have. You must also get a web host where you have your own user name and password to access YOUR WEB HOST ACCOUNT. When you purchase your domain name make sure that YOU OWN IT and have access to manage your domain name. One more thing; it is important that your WordPress and website/blog theme is loaded and setup properly on your web host (this is your responsibility, please get help if you need it). Proper wordpress installation and setup will avoid operational problems and improve search engine optimization quality. 1) Shared Web Hosting; (very affordable at about $8.00 per month) shared web hosting service or virtual hosting service or derive host refers to a web hosting service where many websites reside on one web server connected to the Internet. Each site “sits” on its own partition, or section/place on the server, to keep it separate from other sites. This is generally the most economical option for hosting, as many people share the overall cost of server maintenance. 2) Virtual Private Servers (VPS); (expensive) is a term used by Internet hosting services to refer to a virtual machine. The term is used for emphasizing that the virtual machine, although running in software on the same physical computer as other customers’ virtual machines, is functionally equivalent to a separate physical computer, is dedicated to the individual customer’s needs, has the privacy of a separate physical computer, and can be configured to run as a server computer (i.e. to run server software). The term virtual dedicated server or VDS is used less often for the same concept, however it may indicate that the server does not use burst/shared ram through multiple machines, as well as individual CPU cores. In addition to reducing hardware and power expenses, virtualization allows businesses to run their legacy applications on older versions of an operating system on the same server as newer applications. Each virtual server can run its own full-fledged operating system and can be independently rebooted. 4) Free Web Hosting Service; free web hosting service is a web hosting service that is free, usually advertisement-supported. Free web hosts will usually provide a subdomain (yoursite.example.com) or a directory (www.example.com/~yourname). 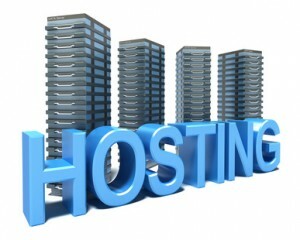 In contrast, paid web hosts will usually provide a second-level domain along with the hosting (www.yourname.com). Many free hosts do allow use of separately-purchased domains. Rarely, a free host may also operate as a domain name registrar. There are also some free domain companies which may provide free 3rd level domain names free with DNS and other facilities. 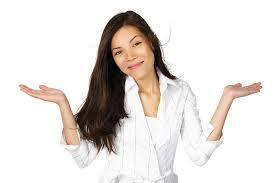 I hope the above WordPress, StudioPress website how to information was of help to you.